Burner’s focus is on delivering the best smart virtual phone number we can, but we think a lot about other aspects of mobile identity and privacy—it is, after all, our mission to help users take control of it. Widespread interest in Bitcoin, and along with it, a whole range of cryptocurrency and blockchain-related technologies, is one of the most interesting developments in the technology community over the past year or two. The promise of a decentralized internet, where we trust a large network of computers operating on the same protocols as a source of truth more reliable than centralized actors and governments, is intellectually exciting and full of promise. But as with other technologies, this innovation has also created new challenges. Cryptocurrency and its nascent markets are experimental and volatile—which makes it risky for lay-people. And amid the genuine believers, the crypto scene has attracted a lot of people who want to make quick bucks as speculators or scammers. It’s also full of unknown outcomes in everything from regulation to stability. 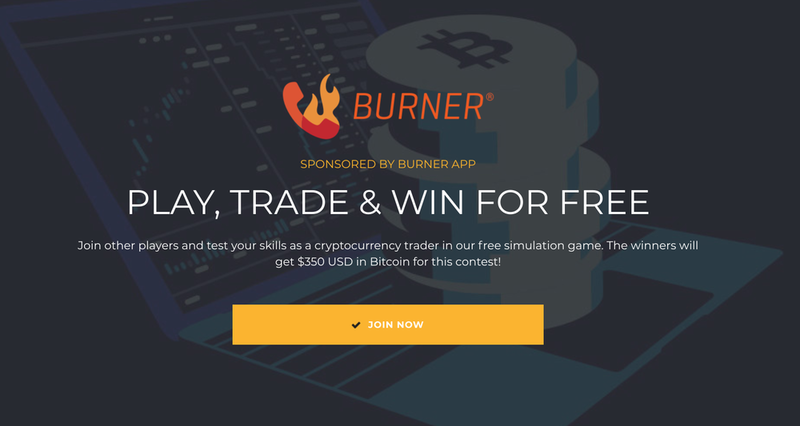 The folks behind Altcoin Fantasy (who are long-time friends of Burner) want to help, and have built a fun and educational tool to help new users understand how cryptocurrency markets work. It’s basically a fantasy trading market, similar to a fantasy sports league, in which you can “paper trade” different cryptocurrencies to test out different strategies and see how you do. The winner gets a cryptocurrency prize, but more importantly, everyone gets a risk-free education and a chance to look before they leap into the risky real world of crypto. We’re fans of the mission and think it’s a great way for users to get up to speed—safely. In fact Burner is sponsoring this week’s prize. If you’ve been bitten by the crypto bug, please consider checking this out. For more information, visit https://altcoinfantasy.com/p/burnerapp.